I am always looking for new ways to display my photography from my concerts and travels. Lately I’ve been doing a lot of photo canvases because they just look awesome. Recently I had the chance to work with Canvas Champ to get a canvas made up of one of my favorite Zac Hanson photos that I took in August in Toronto. I love the quality of this canvas. The back of the canvas has some reinforcement so it is very sturdy and it comes with the hardware already attached so that you can open the package and hang it up right away if you’d like! 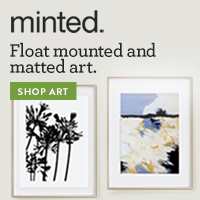 BumbleJax offers various services like acrylic prints and other sorts of art. Check them out today. The process for ordering a photo is easy – upload a photo (or grab one from instagram or facebook! ), choose your layout & size, choose your style and check out! The prices are really good as well and totally worth it for the handcrafted quality that you will receive! I cannot say enough great things about this canvas and I will certainly be using them again in the future! One lucky ConcertKatie reader will win a 10 x 8 canvas made from the photo of their choice! Check out the rafflecopter below to enter. Contest ends 12:00am June 13. I received a free canvas print in order to write this review. I was not otherwise compensated. Since December I’ve been trying to make my own app. I took a class and everything – but when the class was finished I had nothing to show for it because I couldn’t get everything to work on my computer like it was supposed to. I was defeated, thinking I’d never have a chance to make my own app! Enter Andromo – it gives you the power to create apps without needing to know anything about coding. 1. Create an Andromo project. 2. Fill out a few simple forms to add features, graphics, content and whatever makes your app unique. 3. Click a button to build your app. That’s it. The Andromo servers will generate your app and email it directly to you. For my first app, I wasn’t sure exactly what I wanted to make – but I figured I’d make it simple. I poked around on the Adromo website for maybe 15 minutes and ended up with an app that when opened, had an icon for a link to my website. When clicked, it opened my website. TaDa! In less than 15 minutes, I had created my very first app! The app is emailed to you so you can install it on to your Android Device and try it out. Should you want to share your app (which I am not at the moment but hopefully in the future I will have something share-worthy!) you can add it to the Google Play store so it can be downloaded by friends, family and everyone else with an Android device. Andromo is free to sign up and create 1 app and then there are other plans if you’d like to create more apps. I received a free membership to Andromo in order to write this review. I was not otherwise compensated. One ConcertKatie reader will receive their own membership to Andromo. Just leave a comment with your name, email address and why you’d like to be able to make your own app! Pearl Mountain is holding a Valentine’s Day giveaway for their flagship product – Picture Collage Maker. 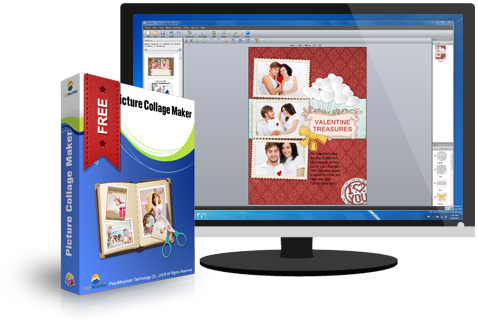 The giveaway includes Picture Collage Maker (both Windows & Mac) which allows you to create stunning collages for your valentine! Choose your platform (Mac or Windows) and get it FREE! A $29.90 value for PC and a $39.90 value for Mac. I have personally used this product myself and think that you will not be disappointed! Some of their other products are also discounted – including Collage It for Mac, Publisher for Mac and Watermark Plus for Mac! Win $200 in Concert Tickets! Rukkus is giving away $200 in concert tickets! And while I’d love to keep this information all to myself so that *I* can win, I figured it might be best to share it with all my readers. (You know, good karma and all.) You can use the $200 to see whoever you want – so if those One Direction tickets are priced a little bit more than you can afford – here’s your chance! Email giveaway@rukkus.com with a four sentence poem describing your favorite live music experience for an entry! Tweet “I just entered to win $200 in concert tickets from rukkus.com #jointherukkus” for another entry! The contest begins today! November 17th at 1pm and will end December 1st at 3pm. Good luck! And if you win – maybe you’ll consider buying me a ticket too? On my recent road trip I had a brand new Power Bank to try out! Unfortunately, I didn’t time how long it actually kept my phone going after it said it was going to die on me – but it was enough time that I was out and didn’t end up with a dead phone by the time I got home! On my recent road trip to Canada I had 2 great items to review for the trip. (See another post today for the other!) One was the Triple USB Car Charger. For a while I had a single USB charger for my phone, but then I realized that having 2 wasn’t a bad idea. Then I could charge my camera on the way up to shows OR my friend could charge their phone too. Recently though I had the dilemma where I wanted to charge my phone, my camera AND my friend wanted to charge their phone. We somehow made it work on that trip, but for next time – I’m prepared! Now I can charge up to 3 devices at once and the charger is compatible with pretty much all USB devices – Android, iPhone, etc! The ports are 2.1A, 2.0A and 1.0A and rapidly charge whatever is plugged into it, or keep it charged while you are using it on a road trip (or not using it because you are driving!) The charger also doesn’t stick out a lot like some others that I have used. My port is right by the cup holder and we had no problem on this trip with the charger, a couple of USB cords and a water bottle in the cup holder. Sick of buying car chargers that don’t work or even starts to overheat and melt? Our Adfilic 5.1 Triple USB Port 25.5W / 5.1A USB Universal Car Charger allows you to charge Android smartphones, tablets, music players, and electronic devices on the trip, MFI (Made for iPhone iPad iPod) Approved, optimal performance on all Apple products, cable is not included. built-in circuit design which protects against over-heating, over-currents, over charging of all smartphones and tablets. The smart charging stops automatically when the battery is full! I especially enjoyed the letter from present-day Kevin McAllister to his parents about all the issues he has now from being left Home Alone. There are several sections on popular songs which were pretty fantastic as well. And I have to say I also enjoyed the “Welp” restaurant reviews as well. I have an extra copy of this book to give away to one lucky reader! Simply leave a comment with your favorite song, TV show or movie (or all 3, if you’d like – but it won’t get you extra entries!) to be entered! Winner will be chosen on August 9th. Winner will have 48 hours to respond to the winning email to claim their prize. USA entrants only, please. I received a free copy of this book from Blogging For Books in order to write this review. I was not otherwise compensated. All opinions are my own.